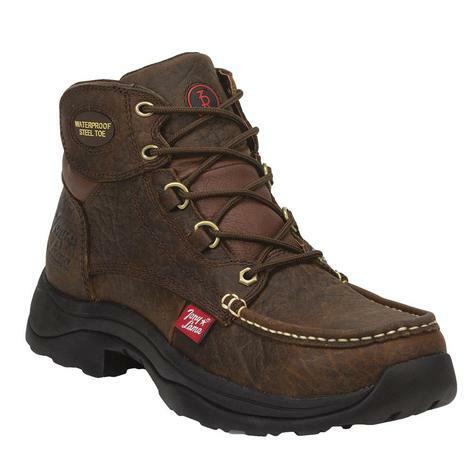 The reliable and durable Hedrick lace-up work boot from the Tony Lama 3R collection with a dark brown waterproof leather exterior will keep you feet cool and dry no matter the job. 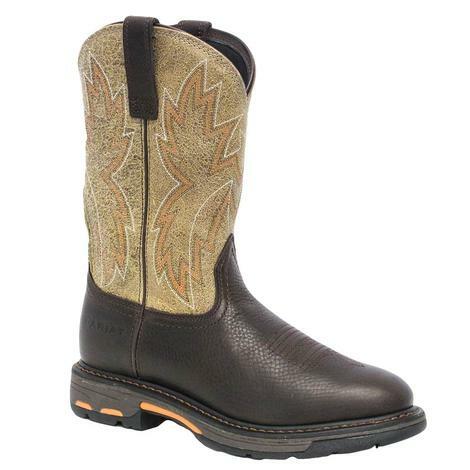 This boot features a steel toe for added protection, a unit heel and orthotic insoles for maximum comfort, and rubber outsoles for traction on any surface. 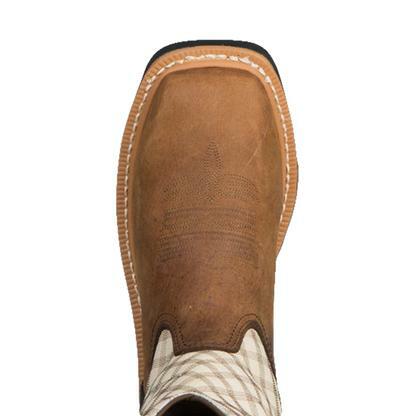 This Tony Lama boot from the 3R Work collection is tough and durable. 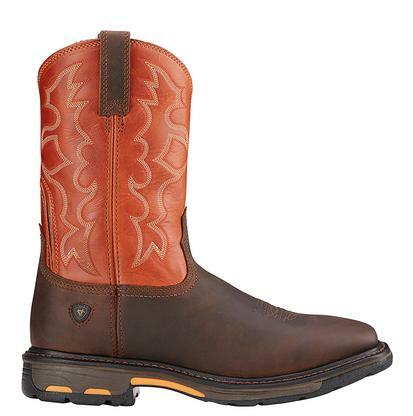 Featuring a waterproof steel toe in Ruby and Chocolate leather. 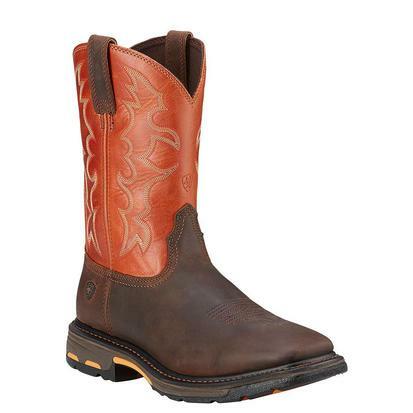 The steel safety toe delivers the protection you need to haul, drive, and ride with confidence and a rubber out sole for durable traction with an orthotic insole for added support and comfort throughout the day. 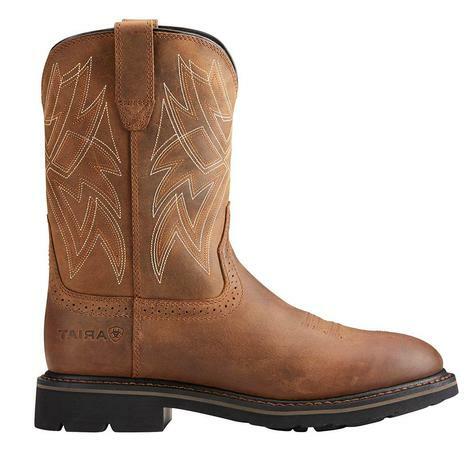 Tony Lama Men's Tan Comanche 3R Work Boots have power and poise with the need met for a work boot that stands up to the elements. 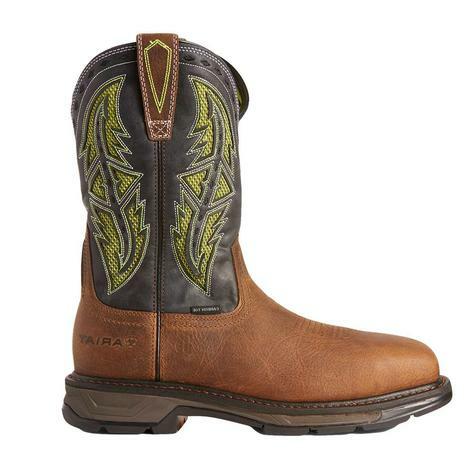 A composition toe and a waterproof exterior complete the request for power. 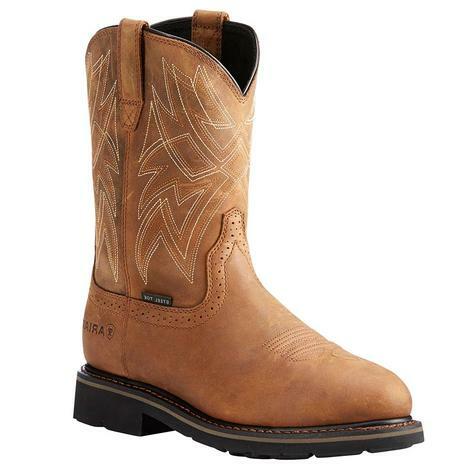 Ariat men's Workhog safety work boots feature a shaft in an Earth Brick shade, square steel toe with a Goodyear leather welt, and mesh lining. 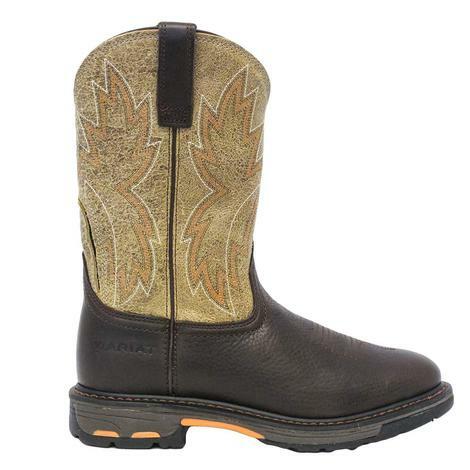 It also has a Duratread outsole for an oil and slip resistant step, and a self-cleaning and non-tracking sole, as well as can withstand up to 90 degrees. 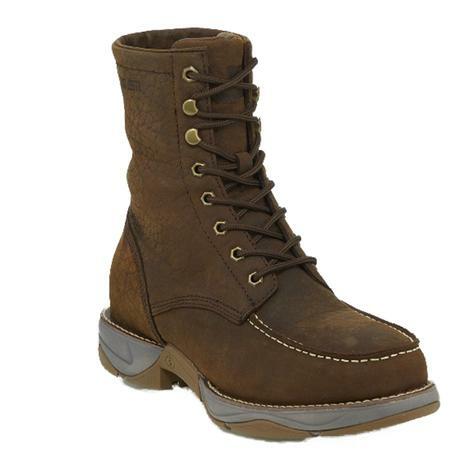 Definitely a reliable and durable boot for the toughest of situations. 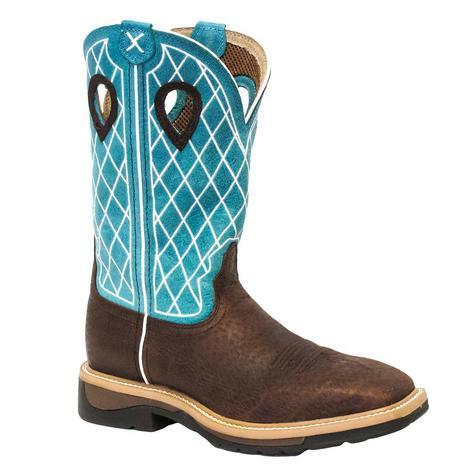 These are perfect for that workin Cowboy and definitely an eye catcher. 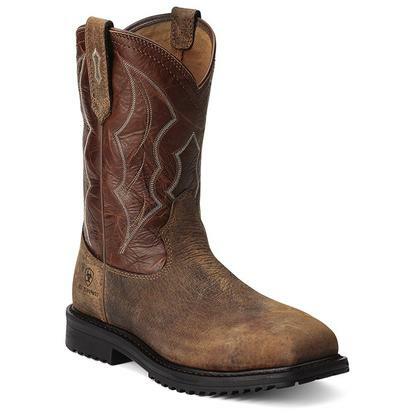 Ariat’s Workhog Dark Earth boots have a 11” shaft with a wide square toe. 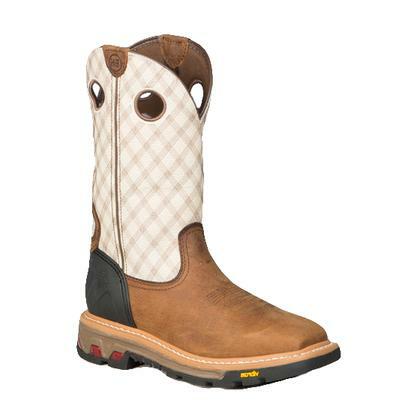 The ATS technology supports and cushions your foot as you move, reducing fatigue so that you can work or play all day. 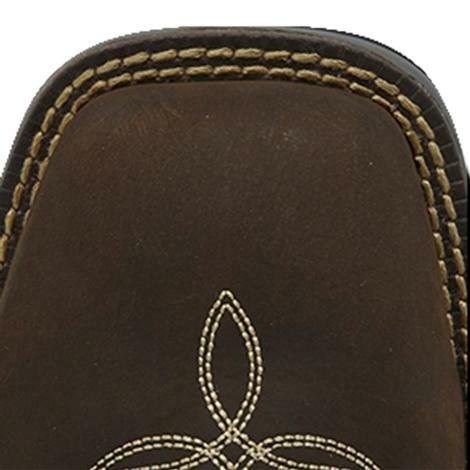 The duratread outsole provides the best in comfort and durability. 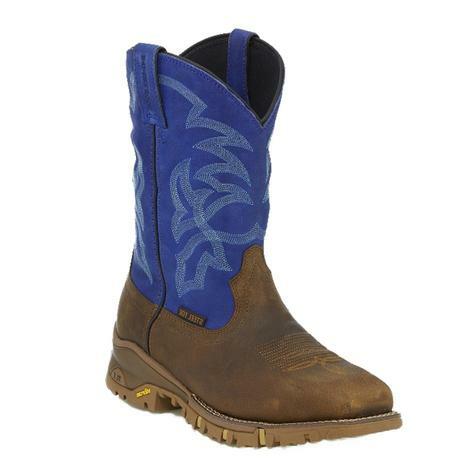 Work safely in these Ariat work shoes. 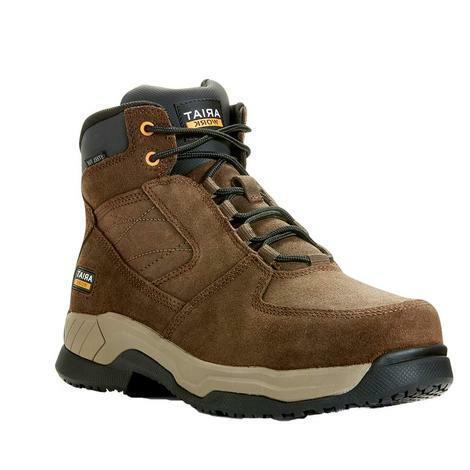 Made of leather and rubber, these shoes feature everything you need for a comfortable and safe work day. 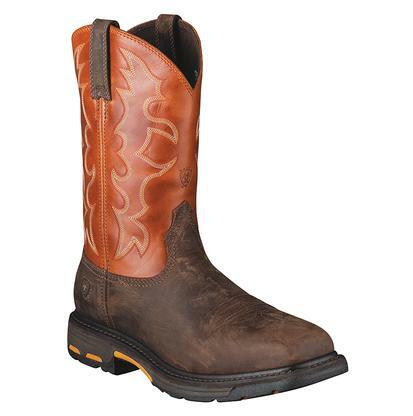 With a steel toe for extra protection and Duratread outsoles that are oil and slip resistant. 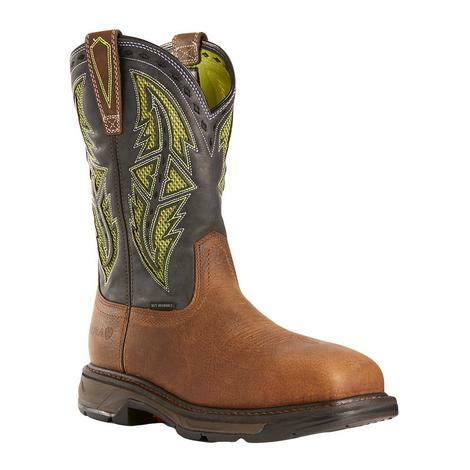 This boot is going to be your new favorite work boot! 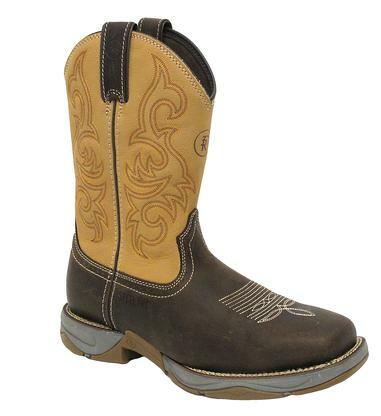 It is oil and slip resistant rubber outsole, with a rocker heel for maximum comfort. 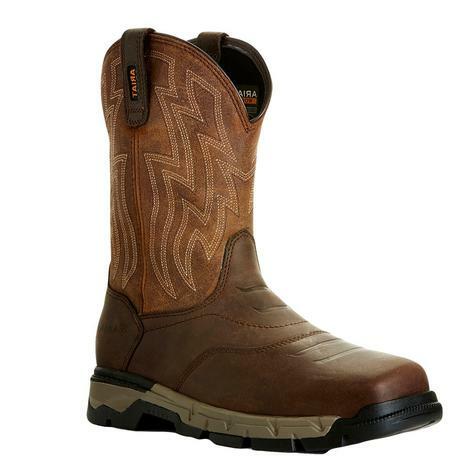 Featuring a wide square carbon safety toe. 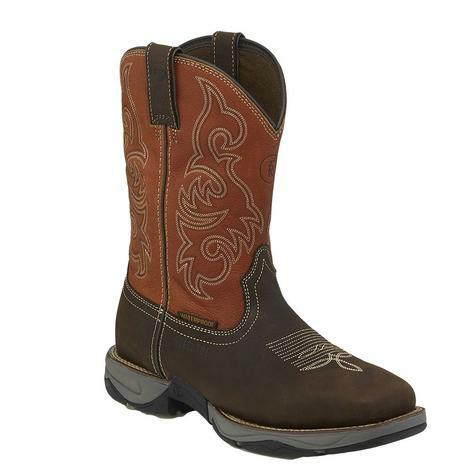 Made from high quality full-grain leather. 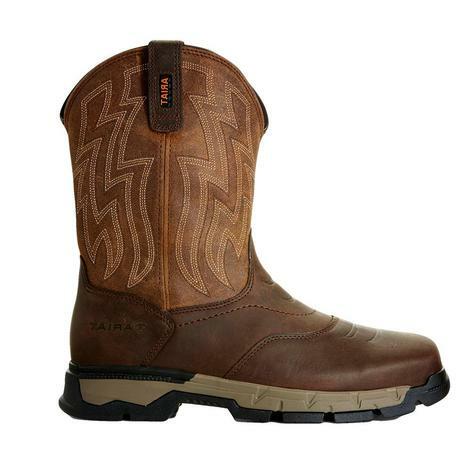 These waterproof boots By Tony Lama are built with strong, impenetrable leather to ensure a dry and comfortable fit. 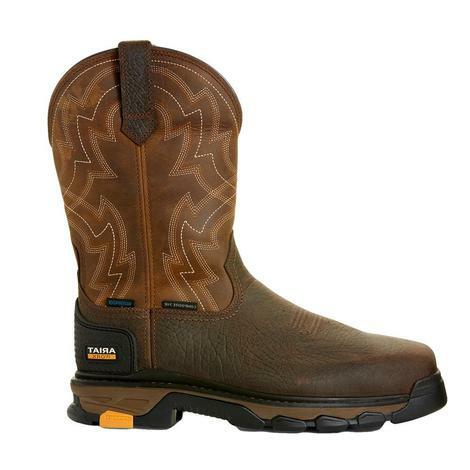 Whether you’re working in wet environments or uneven terrain, the men’s work boots have a heavy-duty vibram rubber outsole for reliable slip-resistance, even on oils and other hazards. 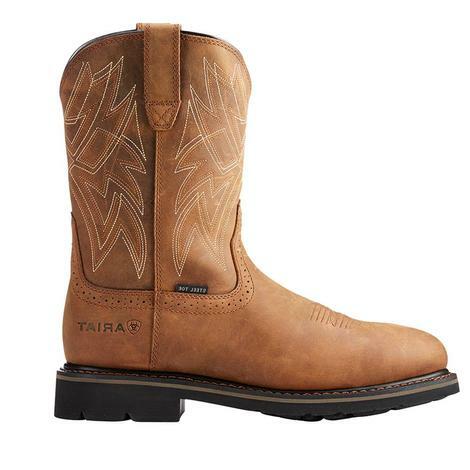 With ASTM F24131 certification, the Tony Lama TLX Work Boots are safety rated for electrical hazards. These waterproof 3R Work Boots by Tony Lama are built with a long-wearing rubber outsole with reliable traction on oils and slick surfaces. 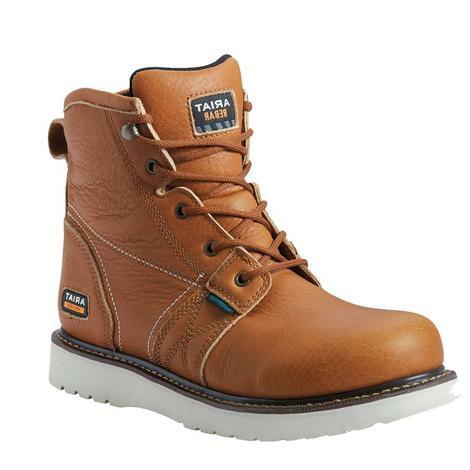 The steel toe boots offer maximum protection against collision or compression, which is ideal for working around heavy equipment. 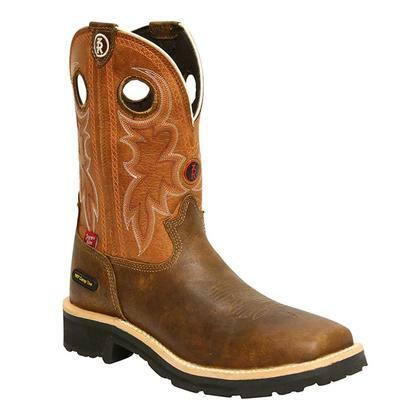 ASTM F24131 certified for electrical hazard environments. 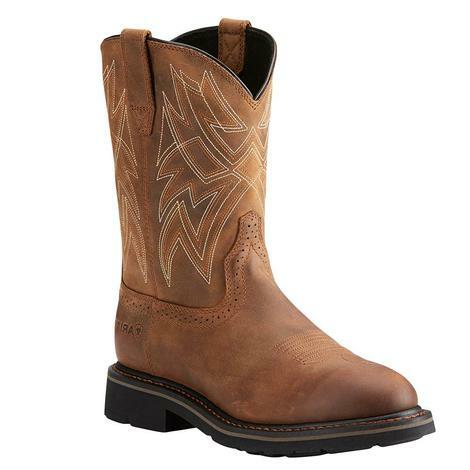 Ariat Men's Everett Work Boot in Distressed Brown features full grain leather for durable and lasting wear, a roper toe, moisture-wicking interior that helps keep feet cool and dry, and gel-cushioning and heel stabilizers that deliver better support and stability, promoting good posture and reducing fatigue. 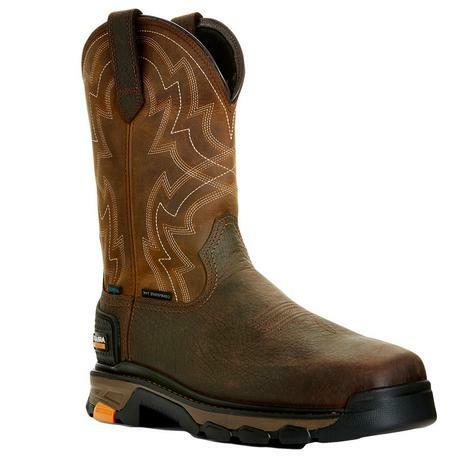 This work boot by Twisted X is extremely durable and lightweight. 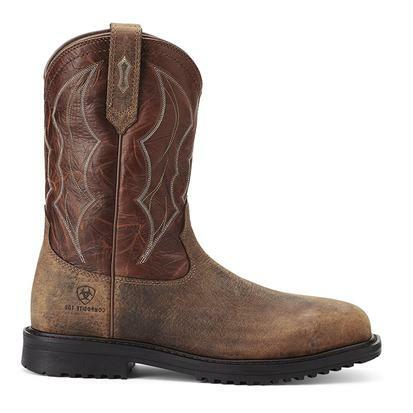 Fully welted for durability, this mid calf pull-on boot can handle whatever comes your way. 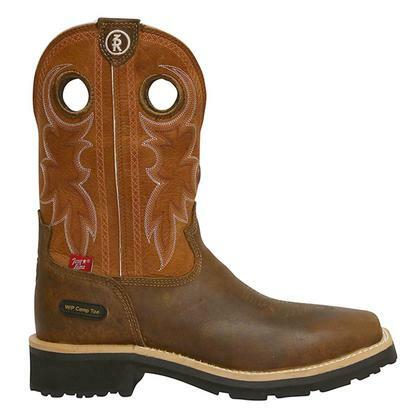 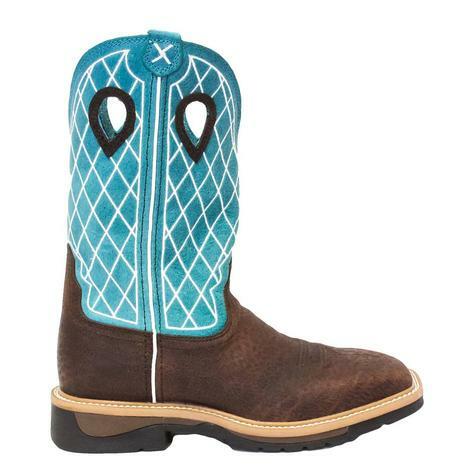 The Ariat men's Composite Toe Leather Boots are EH rated and also oil and slip resistant. 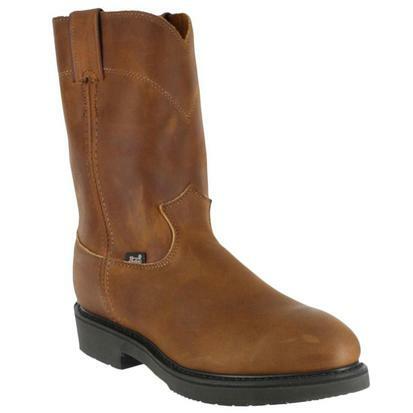 These boots feature an 11-inch shaft and are made with genuine leather.